Banoffee Pie is one of my favorite sweets! 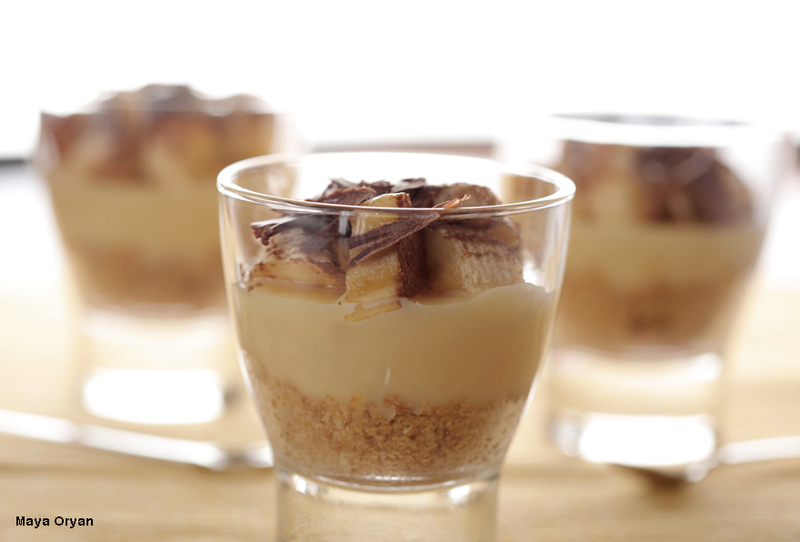 Full of all things naughty, banoffee pie tastes amazing. I admit it’s a sweet dessert, a little bit too sweet than other desserts, the reason why I prefer to do it in a small glass /verrines and to decorate it with dark chocolate. Banoffee stands for Banana+toffee, these 2 ingredients must have exchanged vows once upon time …and I lived happily ever after. Slice the bananas, dust liberally with cocoa powder and layer over the caramel. Finish with whipping cream and some grated chocolate. Serve. 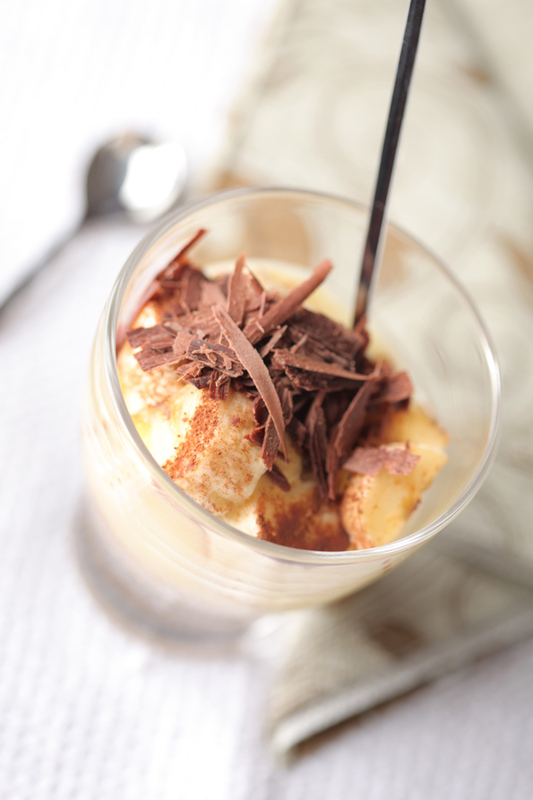 This entry was posted in Desserts, Recipes and tagged banana, banoffee pie, custard, dessert, food photography, Food Stylist, Inappropriate photos, lebanese food blogger, Maya Oryan, pudding, shaved chocolate, verrine by Maya Oryan. Bookmark the permalink. On the other hand, thank you (k). Ok so in your text u gotta say that u got it from a gorgeous hot looking neighbour 😉 ….